Do you represent a Vermont State Government Agency and wondering how you should archive all your web and social media content? Are you trying to determine what you need to do both from a legal and a technical point of view? Here’s a guide to the different Laws and processes you should follow. What Laws Govern Records Management in the State of Vermont? Vermont’s Public Records Laws (1 V.S.A. §§315 et seq.) and Open Meetings Laws (1 V.S.A. §§310 et seq.) govern access to social media and Open Records in the state of Vermont. Do Vermont State Records Laws include Website and Social Media content? Public records are defined by law as “any written or recorded information, regardless of physical form or characteristics, which is produced or acquired in the course of public agency business.” 1 V.S.A. § 317(b). 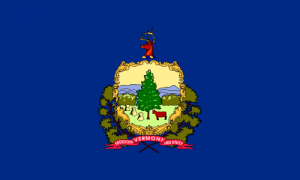 Within Vermont State legislation, “public body” means any board, council, or commission of the State or one or more of its political subdivisions, any board, council, or commission of any agency, authority, or instrumentality of the State or one or more of its political subdivisions, or any committee of any of the foregoing boards, councils, or commissions, except that “public body” does not include councils or similar groups established by the Governor for the sole purpose of advising the Governor with respect to policy. Any applicable agency is obligated to provide access to public records for inspection and copying unless the records are exempt by law from public access. If an agency maintains public records in an electronic format, the requester may choose to receive the copies in either electronic format or paper format. 1 V.S.A. § 316(i). How can we transfer website archives made with PageFreezer to the Vermont State Digital Archives? PageFreezer exports all data on request in the original file format including the required metadata. This data set can be transferred by FTP or by other means to the Vermont State or Agency Digital Archives. If you have questions about any of this or about how to implement effective Online Public Records management start a free trial, schedule a demo or contact us directly.